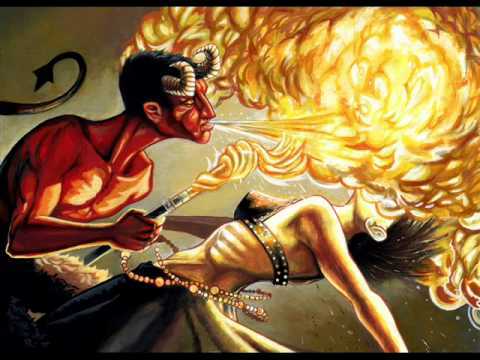 Mystery Babylon, That Great Harlot Mother of the Earth, dancing with the Devil. Prophetic events are moving at an astounding rate, there is little doubt that the tempo will increase and more chaos to be unleashed upon the world, by those who serve their master, that old dragon and Satan. Be advised that the scheme to pit Ishmael against Christians by the Talmudic Hasidic anti-God, anti-Christ jewish Sanhedrin has been planned for centuries, by the prophets of Baal. These Jihadic Noahide puppet Ishmaelite’s have no scruples about beheading the saints of Jesus Christ who stand firm for the commandments of God and the Testimony of Jesus Christ, for just as their masters, their god has no spiritual Savior, Messiah, the Only Begotten Son of God, Jesus who is Christ forever. Problem is, seems no one on the planet understands who is coordinating the terror upon mankind. In fact Sanhedrin says the Ishmaelite Mahdi is the same as their False Christ, “Moshiach” who they will reveal soon. Old slew foot is doing a very deceiving work among the Muslim for they will also be led into the fiery pit, where death and hell are cast, along with the False Christ and his prophet. So then we have the jews, the Muslim and fallen away Noahide Churchinsanity Evangelicals, all serving this false god of the Talmudic jews religion. Woe unto the inhabitants of the earth! http://jewisrhnews.com/2015/01/15/the-zohar-on-the-end-of-days-and-the-land-of-israel/ In the future the Ishmaelite’s will stir up great wars in the world Then the Edomite nations will gather against them and wage war against them. By sea, as well as on land. Than these will on those and the Holy Land will be given to the Edomites. D) AT the same time a nation from the far corners of the world rise up against the evil Roman empire and wage war with them for 3 months. Nations will gather and fall into their hands. Until there will gather against them the Edomite nations from all ends of the world. Then The Holy One Blessed Be He will rise up against them as is stated in Isaiah-34-6 “…….for Hashem is making a great sacrifice at Bozrah and a great slaughter in the land of Edom.”What does it say after ? (Job-38-13) “to grasp the edges of the earth and shake the wicked from it. He will empty the Ishmaelite’s from The Land, and break all the powers above,and there be no power above and no power will left to no nation in the world, only the power of Israel alone. Even when In “Maraka” Obedient, Noahide, Proselyte, so called Judeo evangelical voice, Alex Jones, drums up racial discord. Demoncrats -V-Publicans, Sadducees -V-Pharisees, Aholah -V-Aholah, the two sisters of that one MOTHER Harlot wage their seeming war, which is also a Higelian Dialectic scam to bemuse the Goyim. Hillary, did afterall say many years ago that Bill was victim to a “Vast Right Wing Conspiracy”, I say she was correct, which side do you stand? The Marxist or the Noahide Orthodox Neocons of the Publicans? Or do you simply stand For Christ Jesus the Lord of Lords and the King of Kings in SION, Gods Holy Mountain in HEAVEN? Do I care what the Marxist Communist Hillary said? Or do I care what the Talmudic Noahide Orthodox Publicans say? Nope….simply put, Jesus Christ is King of Kings and Lord of Lords. Israel Brags that the False flag Turkish Coup, has caused UNESCO to Delay the vote until October, Which will be their Jubilee year, which Sanhedrin has just recently announced. In response to the United Nations Educational, Scientific and Cultural Organization’s (UNESCO) pending vote to deny any Jewish connection to the Temple Mount, the Nascent Sanhedrin issued a declaration this week denouncing the international body’s plans, and strongly emphasized that the current wave of global terror is a direct result of UNESCO’s very unholy actions. “A plethora of archaeological evidence in and around Jerusalem is undeniable proof of Jewish settlement in Biblical times. Islam did not exist, in Israel or anywhere else, until the year 636 CE, more than 500 years after the destruction of the Second Jewish Temple,” reasoned the Sanhedrin’s statement. “If there are any doubts or counter-claims, the Sanhedrin challenges them to establish an objective committee of archaeologists to check these facts,” the rabbis asserted. 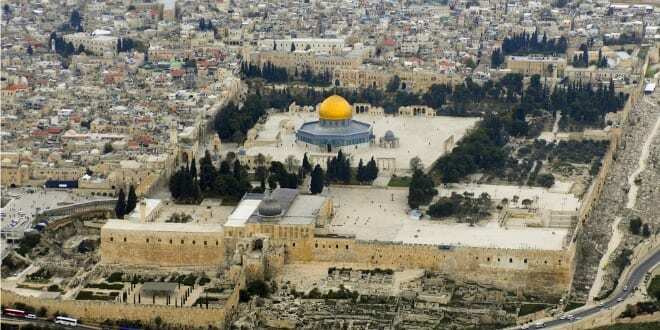 “On this matter, the Sanhedrin decries the Palestinians’ efforts to destroy archaeological evidence on the Temple Mount,” they said referring to ongoing construction by the Islamic Waqf on the holy site. In order to develop on the Temple Mount, an area rich with archaeological relics, the Waqf has employed the use of heavy equipment and machinery which has irreversibly destroyed irreplaceable artifacts. “These acts, destroying the sites and artifacts of other religions…are intended to create belief in the false historical narrative the Palestinians are trying to spread among the non-Jews, and even among the Jews” that the Jews have no historical connection to the Temple Mount, the Sanhedrin declaration warned. Just as the Palestinians are doing anything in their power to spread this false narrative, so too “UNESCO is promoting a false belief about Jerusalem and Israel, and these actions will lead to even more suffering,” the Sanhedrin stated emphatically. “Support by the European Union and UNESCO for militant Islam is an act of suicide,” the document concluded. 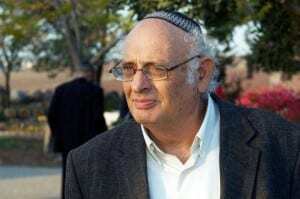 Rabbi Hillel Weiss, spokesman for the Nascent Sanhedrin, explained to Breaking Israel News that every aspect of the Temple is connected to the concept of peace. “The Temple Mount is the center of peace for the world, and any damage done to the place, or even lies told about it, only serve to damage world peace. This is simply a case of cause and effect,” the Sanhedrin explained. “The Muslims have turned the Temple Mount into a place of violence and lies, a battleground where Islam establishes exclusive domain, claiming supremacy over the other nations, where their violent ways have usurped the domain of peace,” said Rabbi Weiss. “By allowing the Muslims exclusive access to prayer on the Temple Mount, the world has chosen ‘priests’ of war and terror. The world must allow the Jews, the real lovers of peace, to be the priests representing all the nations on the Temple Mount,” he concluded. The forthcoming UNESCO vote that would establish the Temple Mount as a site sacred only to Muslims was recently postponed due to the terror attack in Nice, France on Thursday that killed 84, as well as the failed coup attempt in Turkey over the weekend that left hundreds dead. A similar UNESCO resolution in June identified the entirety of the Temple Mount compound as Al-Aqsa, adopting the Palestinian narrative which now uses the name of the silver domed mosque for the entire mount. Folks, I have a great suspicion that Obama is going to try to block Trumps presidency, But Trump has already Danced with the Devil. 8 And then shall that Wicked be revealed, whom the Lord shall consume with the spirit of his mouth, and shall destroy with the brightness of his coming:9 Even him, whose coming is after the working of Satan with all power and signs and lying wonders,10 And with all deceivableness of unrighteousness in them that perish; because they received not the love of the truth, that they might be saved.